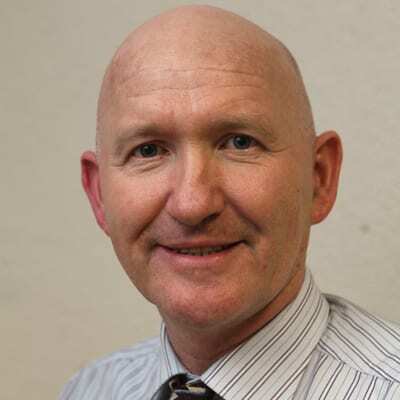 Tony O’Kelly is the New Frontiers Programme Manager in Galway-Mayo Institute of Technology (GMIT). Two Innovation Hubs – in Galway and Castlebar – host the programme in the West Region. Tony graduated in IT with Distinction from University of Limerick before spending his early career in a start-up delivering business solutions to the SME sector. Following a six-year stint as an employee in the financial services sector, Tony started a new business, delivering specialist technology management expertise to large companies such as DCC and Hewlett Packard. Tony’s main expertise lies in solving business problems in the area of finance, manufacturing, sales and procurement across a wide range of business sectors – from SMEs to multinationals. Tony fuses technical knowledge, project management and programme management with a vast appetite for ongoing research relevant to his participants. He has experience in automating business processes and managing projects from conception to delivery, which he brings to the structure and delivery of New Frontiers in GMIT. Diversity of knowledge and experience is invaluable when adding value to start-ups in a wide variety of sectors. Having joined a start-up after graduating from the University of Limerick, the excitement of the journey never really left me. When the opportunity to manage the GMIT New Frontiers Programme came up, I didn’t hesitate! For Tony, the most exciting part of his job is receiving applications and discovering what problems people are aiming to solve.